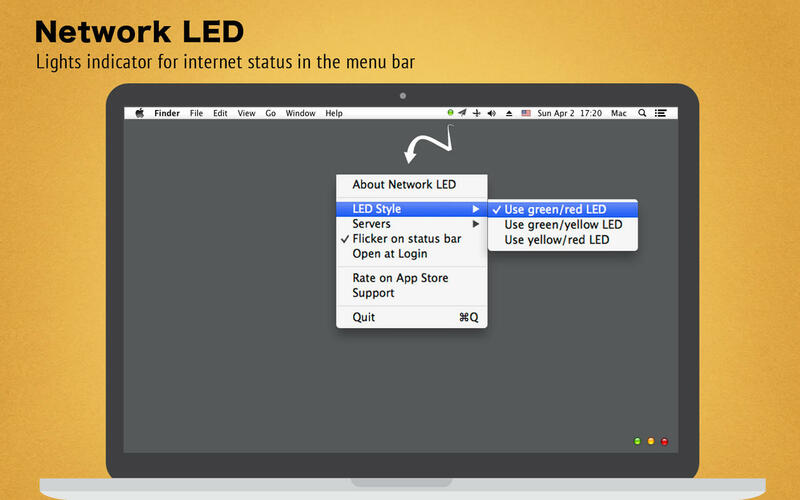 Network LED is a very simple app with just green and red light indicator for internet status in the menu bar. Green light in menu bar- mac is connected to the internet. Red light in menu bar - mac is not connected to the internet. Add a menu item "Flicker on status bar" to config whether flicker. If "Flicker on status bar" is not checked, Network LED will not blink. It just stay in green or red to show the current network status to avoid disturbing.